Mary Ann Pendergast was born at Cornwallis in 1831 a second-generation native- born and the third of nineteen children of James Pendergast who married twice. She was around 16 years of age when her mother Sophie nee Hancey died. In July 1848, a year after her father’s remarriage, Mary Ann married William Williams (Jnr) in a ceremony at St. Mathews Catholic Church in Windsor. William was 34 years old and, like Mary Ann, he lived in Pitt Town. Both his parents had died eight years previously. It would be surprising if the two families bad not known each other. Mary Ann’s older sister and William’s young nephew William Hannabus were the witnesses at the ceremony, the Hannabus family owning the riverfront land originally granted to James Ruse the government farmer. Mary Ann’s paternal grandparents had both arrived as convicts but her maternal grandparents were free settlers. Mary Ann spent her younger life in the Windsor area. Unlike the isolation from family experienced by her husband’s parents, on her marriage Mary Ann was surrounded by a network of family. 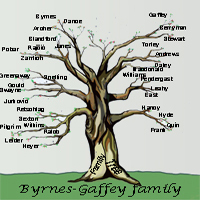 William’s (Jnr) sisters, their husbands and children were added to her already large family of brothers and sisters, aunts, uncles and cousins. In the years her children were being born, so were her father’s children by his second marriage, nine half- brothers and half-sisters, perhaps playmates for her own children. Her second-youngest child Thomas Herbert, was born at Pitt Town Bottoms in 1858, as others of her children may have been, but at some point the family moved to Eastern Creek, or more precisely, to a tributary called Breakfast Creek. Perhaps young Thomas and his siblings enjoyed the excitement of the steam and sound of a tiny box-saddle engine which hauled ballast in the construction of the Blacktown to Windsor railway extension which was being constructed near their property during 1863. However, tragedy was about to strike the family. It was in their home that the children’s father died on the last day of 1863 possibly as the result of a fall from a horse, but described as a “painful illness” by the Sydney Morning Herald. He was only forty-nine years of age and Mary Ann was left with a young family of six children ten years of age and under. William’s (Jnr) Will, prepared only four days before his death, appointed his wife, his father-in-law and Mary Ann’s step-uncle as trustees. It is easy to imagine the scene of the supporting family gathered to discuss the likelihood of death and the need to make formal preparation to protect Mary Ann’s future. To execute the Will a Windsor solicitor and the local schoolmaster had also gathered. It would be a solemn scene for young children to observe. Less than two years after William’s (Jnr) death , Mary Ann’s father James also died, leaving her and her sister jointly about 45 acres of land on South Creek. James’s body was placed in the Pendergast vault which stands under a beautiful old palm tree in the Catholic Cemetery in Windsor, inscribed with eighteen family names. Mary Ann lived another forty years after William’s (Jnr) death and was buried in Waverley Cemetery. Adjoining her grave are those of two sons, a daughter-in-law Mary Ellen nee Hyde and Mary Ellen’s infant son. Mary Ann supplied her birthplace as Cornwallis when registering the birth of her son Thomas Herbert. On her death certificate another son Charles supplied Maitland as her birth place; James Pendergast married Sophia Hancey 5 May 1828 264/127, his second marriage was to Susannah Cunneen on 19 July 1847 (number not recorded). Deduced from period between last child’s birth and second marriage. Marriage Certificate William Williams and Mary Ann Pendergast 25 July 1848, Registrar of Births, Deaths and Marriages NSW No. 1325 Vol. 95. According to Hannabus Family History by 1813 St. John Hannabus owned No. I grant to James Ruse (no documentation available). Family retained that and other nearby portions until (from memory) the early 1880s. Conversation with ex-owner Noel Hannabus c.1990. John Pendergast arrived on Minerva 1800 Irish convict (Referred to in A. Whitaker, Unfinished Revolution, Crossing Press, Darlinghurst 1994, p.243), Jane Williams arrived on Nile 1801 Irish convict (referred to Portia Robinson, “The Women of Botany Bay, P. 290) and William and Sarah Hancey/Flancy arrived on Minorca 1801 free settlers. Information gathered from microfiche at different times for nine births between 1848 and 1862. Birth Certificate of Thomas Herbert Williams, born 12 January 1858, Registrar of Births, Deaths and Marriages NSW, 13066. The Blacktown to Richmond Railway http://www.hawkesburyhistory.org.au/railways/index/html accessed 9 October 2002 M. Swift (Breakfast Creek on Map p.229/230 Sydway Directory, 6 Edition. Sands Directories of Sydney. Mary A Williams is recorded as living at 559 (renumbered to 491 in1880) Crown Street from 1871 to 1880 (NB no directory is available for1881). In the 1875 Directory, 559 Crown Street is described as being part of"Lim Terrace" (it is on the western side of the street, in the block between Davey and Devonshire Streets, not far from the Cleveland road end of Crown Street).. In 1879, the entry is in the name of "James" Williams, presumably MaryAnn's eldest son, who never married. There is no readily identifiable Mrs Williams listed in 1882, but Mary Ann may well have gone to live with her newly married youngest son Thomas Herbert at that time. However, Mary Ann may be the person listed as Mary A Williams, of 10Thompson Street in 1882/33, but no further means of checking are readily available. In 1882 -her son Thomas Herbert is listed as being a clerk, living at 356 VictoriaStreet, but by 1884, he had established himself and his family in Green Rd (No. 2 Harbourview Terrace), Paddington, just off Oxford Street. Thomas was still in Greens Road in 1889. 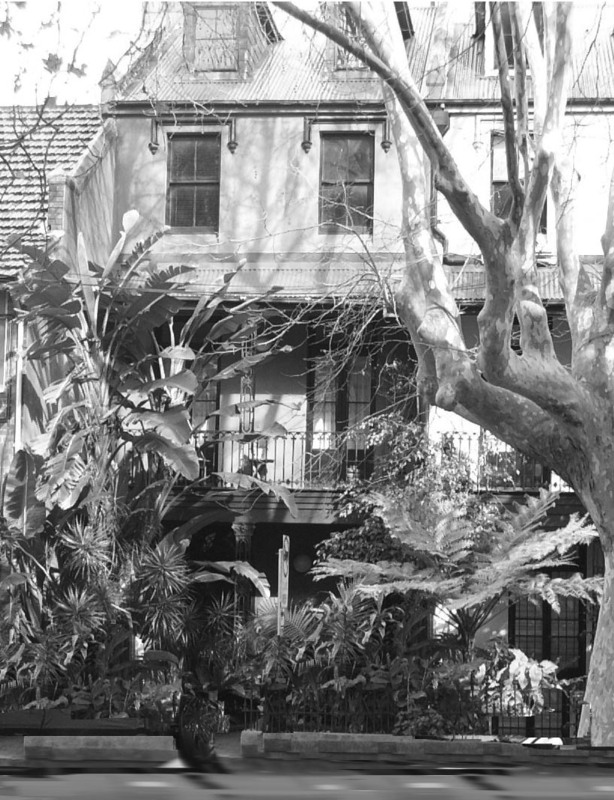 From 1889 to when she died in 1907, Mary Ann lived at 193 AlbionStreet Sydney (Surry Hills) . Her entry was variously listed as Mrs Williams, Mrs Mary Ann Williams, Mrs M Williams. One listing recorded the occupier as Mrs "Emma" Williams, presumably an error.